Tonight Alive weighs in on the artists that defined Warped Tour and the band that made them aspire to be on the tour. Tonight Alive frontwoman, Jenna McDougall, waxes romantic about the skate culture Renaissance of the late 90s and the potty-mouthed pop-punk trio that championed rebellion on the Vans Warped Tour in this edition of APTV’s Warped Perspective. 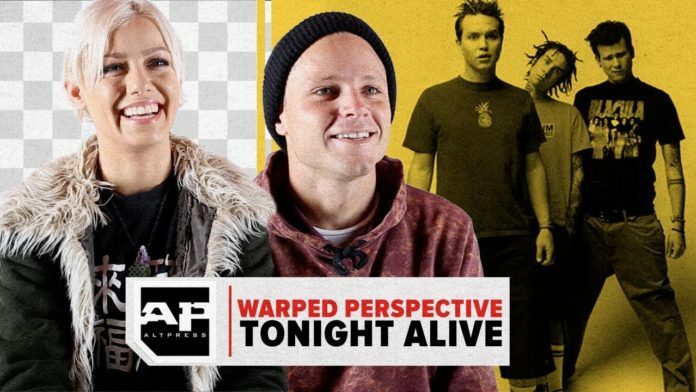 Her Tonight Alive bandmates also weigh in on the artists that defined Warped and the band that made them aspire to be on the tour.